Fiber Optics is great, but so is microwave. Just like fiber, it delivers high performance, reliability, security and resiliency. But microwave also offers some advantages that fiber does not, making it well-suited for certain applications. 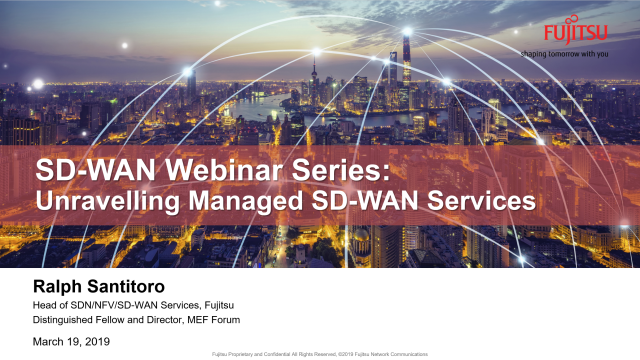 In this webinar Ryan Pettijohn, Wireless Solutions Manager at Fujitsu, will discuss the top 4 reasons for using microwave instead of fiber. Geared to product managers, network planners, architects, enterprise sales teams and procurement, this webinar will provide valuable insights on the benefits of deploying microwave along with some use cases.